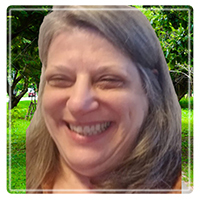 Pine Brook Therapist: Jerri Shankler - Therapist 07058. Send A Message To Jerri. Why I do this, working for YOU the parents or loved ones of addicts or alcoholics. All too often I’ve seen that families are overlooked and underserved. Yet my experience tells me that family support is a vital part of successful long-term recovery. You want to know how you and your child live in recovery-what happens when your child is released? What do you do when outpatient treatment, therapy or counseling, or self-help meetings are recommended. (Did you know that there are other self-help options in addiction to 12-Step-AA, NA, Alanon, etc.?) And what do you do for yourself beyond self-help? I will help you create a Relapse Prevention Plan for you child and you. You will develop-and practice-a clear strategy of what to do if there is a relapse, so you and your child don’t fall back into old patterns. There are many benefits to working with a Family Recovery Coach. The most important is learning that the best way to help their your child is to take care of yourself first. It’s like on the airplane, when we are reminded to put on our own oxygen mask first so that we can help others. You will learn how to develop a Home Contract, which is an important part of recovery. You learn how to help improve adherence to the contract by having realistic expectations that reduce manipulation by the addict. You will improve your interpersonal communication skills so you can move a still using addict toward treatment and recovery. You learn how to reduce the tension about talking about addiction and recovery and develop language to support your own, as well as your child’s recovery. You learn how to effectively speak to treatment providers, how to request a release of information and learn what questions to ask. Is your child attending sessions? What are the Urine Screen results? What is the treatment plan? How long will it take? Coaching is not Therapy or Counseling. As a coach, I work with your family to create actionable addiction and recovery focused solutions. Services are easily accessible and convenient in the office or via computer. Phone, email and text support is available between scheduled calls. You also learn self-care practices so that you become physically, emotionally and spiritually healthy again. This facilitates healing shame, guilt and feelings of helplessness and hopelessness.